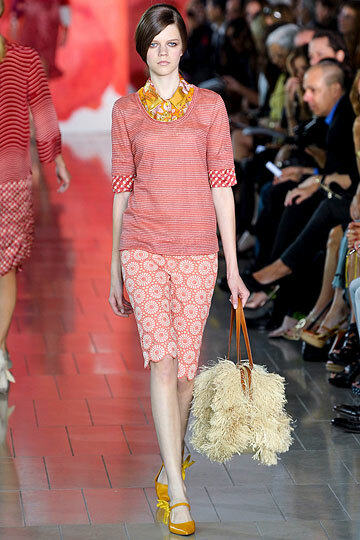 As expected, Tory Burch wowed with her exceptional prints and ethereal fabrics. The yellow bowed shoes and gussied up moccasins were a perfect complement to the collection. A dizzy printed sequined dress paid homage to the past with a mod twist. While Burch's vision always seems to have a preppy edge, she's seamlessly mixed her aesthetic with bohemian chicness.